You will find inspirational links, coloring, crafts, skits, and more. This board was made by Stephanie Giese. Use these banners with a bulletin board similar to that above. Cut out different snowflakes and put each child's photo in the center. Make 2, 3, 4, and 6 sided snowflakes. A cute snowman with hat, mittens, scarf, and broom. This has the word "snowman" down the side of the page.This is from coloring-pages-book-for-kids-boys.com. from pacon.com. This is a cute project for the younger kids. A graphic showing a tree in all four seasons. A cute winter craft. We used small foam cups instead of clay pots to cut down on expense. An online book for young readers from starfall.com. Put this on a bulletin board and put things under it as you wish. This could include healthy habits in general, or healthy study habits, or healthy habits for Christian living, such as pray, read your Bible, attend church, love others, and trust God. Print calendars through 2022. From DLTK. There are 12 months in all. A Teeny Tiny Book About Martin Luther King Jr. This project allows students to participate in Dr. Kingâ€™s dream by doing 100 acts of kindness. This is from readwritethink.org. With drawings of George Washington Carver and Marian Anderson on it. The first seven pages make a nice book about George Washington Carver. There are 23 more activity pages about the peanut to print such as dot-to-dot, crossword puzzles, and more. This is from usda.com.gov. Many activities here. 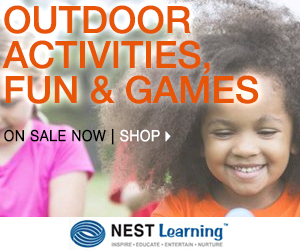 This is from fun.familyeducation.com.